3519, Blue Color, Hindu Cards. 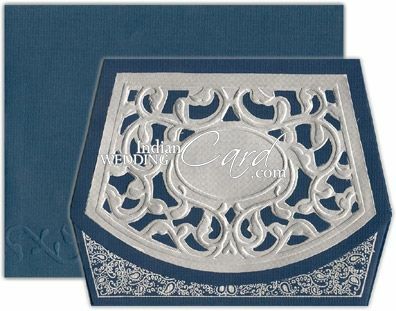 The front’s die cut paste up having embossed border designs gives a very ornate look and provides a very striking contrast to the theme. 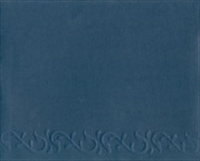 The docket has a silver printed window with silver printed floral image base. 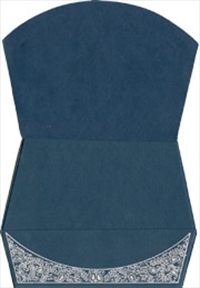 The inserts are plain and the envelope has self-embossed border design.